This octopus was out during the day. It tried to hide in a small hole in a little coral head. It didn't seem to realize that the hole was much bigger on the other side of the coral head. I simply swam around the coral head and photographed it from the other side. 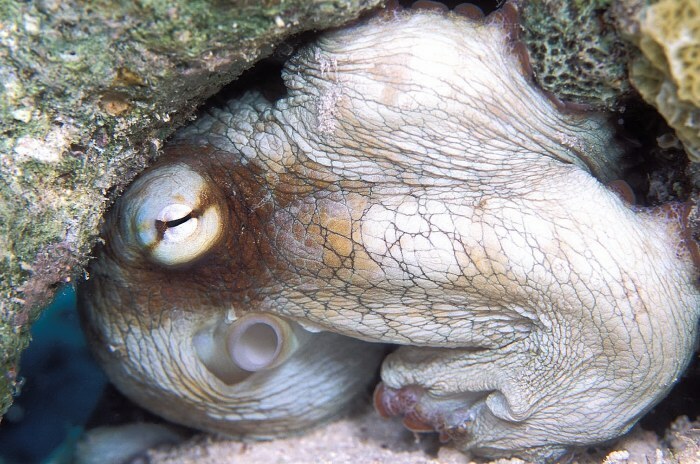 Octopus are known for their cleverness, but I guess there's an exception to every rule.